Become a Petrolicious Member to access exclusive content, our new printed magazine - Drive Tastefully Quarterly, member pricing in the P Shop, access to events and more. What comes to mind when you hear the words "Italian motorcycle"? Ducati? Moto Guzzi? What about Gilera, Benelli, or Laverda? 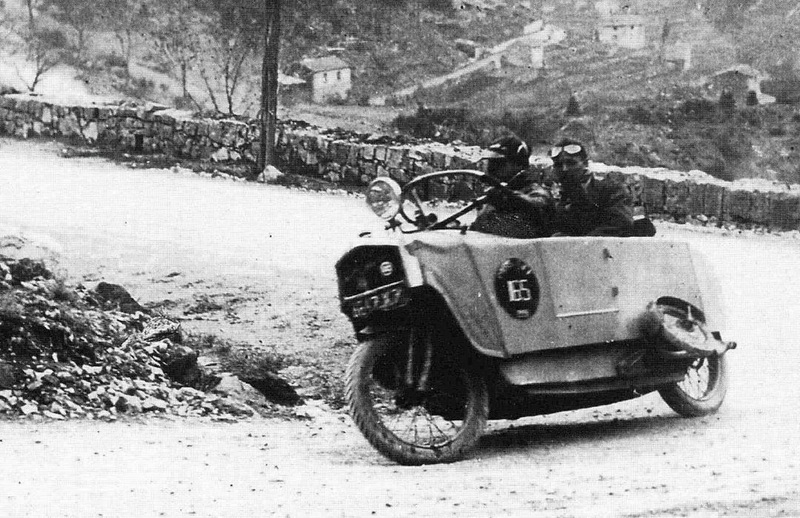 Italy has a rich motorcycle history and has been producing unique and beautiful bikes for years, but here in the United States many people aren't familiar with Italian brands outside of Ducati and Moto Guzzi—many are not even familiar with the smaller single-cylinder offerings of these two brands. 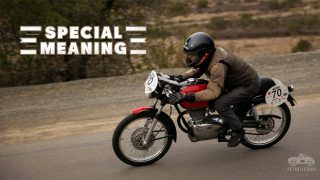 Hugo Gallina, owner of Vintage Italian Restoration in Southern California, has been building and restoring Italian bikes out of his garage for years. Zagato’s Sanction Lost program is recreating lost history, by hand. This Japanese barn find is too special to cover up with a new coat of paint. It's a conversion, but it's hardly the convertible it started out as. Matt reminds me of a younger self, and all the glorious places in the Pacific North West, that an old car could take me. The cars came and went, and my tools were really my transportation. In those landscapes, you experience geological time scales, and the human one becomes very small by comparison. I love this guy’s attitude. IMHO, cars are meant to be enjoyed by driving them. Look at how happy just talking about his 356 made him. It really came through in the film. Nice work! Great story and great video !! It all about the experience of driving an old car with confidence and enjoy it :). The story reflect the passion for it . I enjoy it . Thank you Matt. Watched it twice, and considered a third…. Best video yet, really. Perfect storm here, Petrolicous. Great car, great guy, scenery, videography, etc…. Wow. Also, the most inspirational video yet. Blown away. Wonderful film, seems like a very bright and relaxed person with a great attitude! 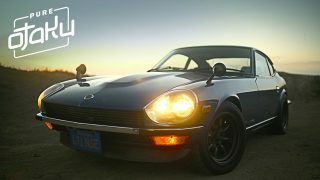 If Porsche made heartfelt commercials like Subaru, this would be it. Either that or this kid is the poster child for the benefits of the legalization of marijuana:D Love his attitude and story! 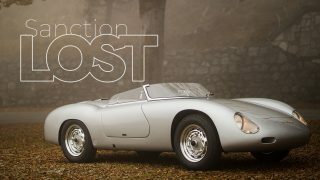 For me one of the best films ever on Petrolicious. Because of the car (really authentic), the scenerey and video (phenomenal) and especially Matt and the truth of his words. Did you also see the satisfied smile in the Porsches face?? WOW What an amazing film!!!! Can someone tell me the references of the soundtrack? I like the “the car and I are doing together”. Reminds me the video where it says “don’t be afraid to break your toys”, this is exactly what it means for me owning a classic. It is not what you look like in it, it’s what you are doing with it. 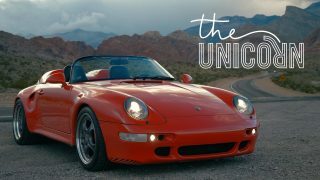 When I first saw what car they had for this week´s movie, I though” Oh no, just another high-end restored Porsche”. But, as soon as I started to see the movie, I was completelly taken away by the Porsche´s character and its owner´s attitude towards it! Genuine and pure! ! ! Well, it is 356! But still the best caption of “why drive a classic?” DNA I’ve seen yet! Indeed! He has found the sweet spot. 356 A coupe off-roading set to salsa music? His attitude is so inspiring. Great production job as well guys. Wow. Great attitude to his cars and life. Cars are made to be driven and enjoyed, and life experienced through them. It does amaze me where you see some cars, and the scenery you were in was just beautiful. What’s it worth ? Priceless, like you say, how do put a value on the enjoyment something gives you. The home built Ferrari and this one are now my top 2 favorites for sure. Bravo. Digging the drone shots. Those are some cool new perspectives. And man… those roads! Can someone drop me a pin so I can see where that rocky outcropping is? I want to go there. Now I want a barn fresh Porsche too!! Amazing video! Where was most of this filmed? Much looks like California…but so much of it looks likes someplace I’ve never seen. I can see adventuring in an old VW, which is how I grew up…which was a blast! but I can’t see doing this in a 50s Porsche….until now. Which is what makes this video meaningful. I did some digging and found that it was filmed California. All in small towns surrounding Sacramento to more specific. Around Yuba River, Colfax, Foresthill, and Auburn to be even more specific! It looks like a beautiful drive! big green bridge is on hwy 70 going over lake Oroville; my neck of the woods ! love the 68 or 69 volvo 142. I can relate to this story. I been collecting old Volvos and enjoying them in the same way like the main hero of the video. More volvo 240/140 stories Policious, Please! 140s don’t get anywhere near the love and adoration they deserve. This drivers blue one looks particularly nice. Scott, I am thoroughly intrigued by the two wheeler in your picture. I MUST know what this is. Please, put me out of my misery and tell me. The best cars are part of the stories of our lives; the ones that we share meaningful parts of our lives with. I think that’s why most of us have such a fondness for our first rat-trap cars. This car has told, and continues to tell, a great story. 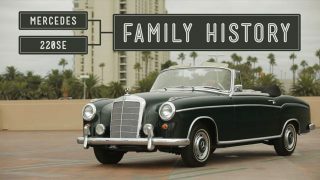 Fantastic video and what a great attitude to classic cars – much better petrolicious! This gives a better balance to the lots of shiny expensive cars – this is a loved patina’d car that is used as it was intended. Wonderful! “What’s it worth” is almost the most common first question that I hear when someone asks me about one of my cars. I usually answer, ” Millions of smiles for me”. The monetary value is immaterial, the driving pleasures and memories are priceless. This owner/driver has a great outlook on the driver/ownership experience! Great choice and fit of the music. 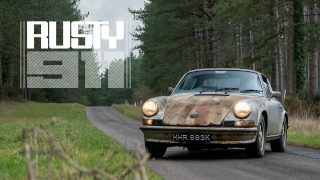 Unconventional music for an a typically unconventional use of a 356, especially now, offroad. PORSCHES ARE MEANT TO BE DRIVEN! “Get it running. Drive it” I have to love his philosophy. Fantastic car. 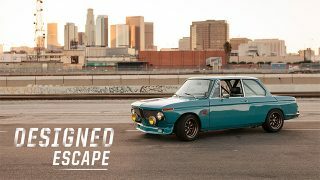 Great job Petrolicious. You guys produce some of the best auto content on the net. The people cars and production are always great, the locations awesome too. Downside is it always makes me want to hop in the car and head for California. What’s your life worth? LMAO!!! Great Video!!!! I couldn’t wait for this to come out! Great music, footage, everything! great job guys! Keep em comin. 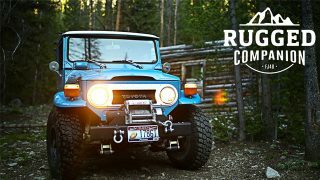 Lets see some more old porsches, land cruisers, and land rovers! Great video as usual and the soundtrack was one of the best yet. Love hearing unexpected music tracks, that was superb. Using a [ classic ] Porsche as its makers originally intended ….. Amen ! Using Salsa music in this otherwise fine little video effort though ? … Errr … not so much ! In fact .. not at all ! 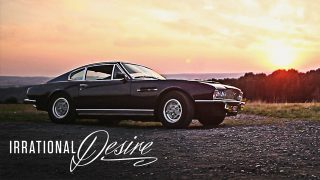 Nice video of a car with some patina… Nice scenery too. Gets me in the mood of making a road trip to Italy.